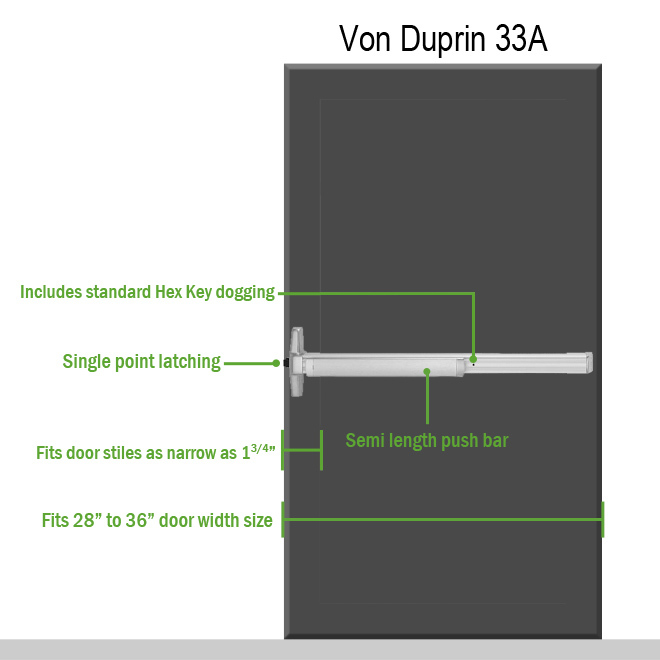 It is UL listed for Panic Exit and ANSI A156.3 – 2001 Grade 1.Von Duprin 33AEO, exit only narrow stile exit device for door stiles as narrow as 1-3/4". 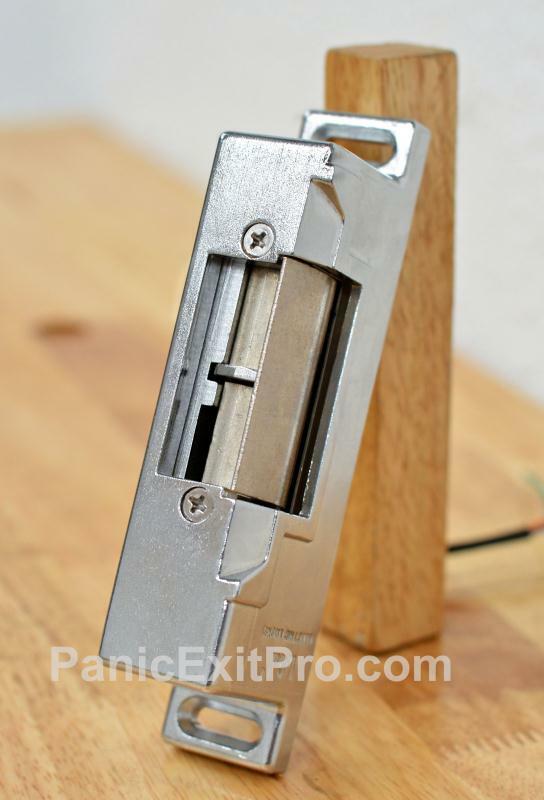 For all types of single and double doors. Exit only, no outside operation. Trim available separately. Device length is 3’. Finish is anodized aluminum (US28).